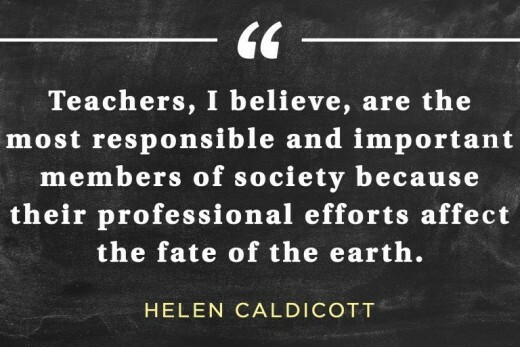 Teachers are important people, no doubt. They put in long hours planning and implementing lessons in academia and life that are specifically designed to help you or your son or daughter grow. Teachers are usually the saintly type: people who sacrifice their time and energy well beyond what is expected of them to get to know each student and help all to succeed. Show the teachers in your life some love. No need to wait for an official holiday like Christmas, Teacher Appreciation Week, or the end of the year; teachers will appreciate your generosity and acts of kindness whenever you choose to give. Small ideas to grand gift ideas are mentioned in this article. The ideas are organized by simple/inexpensive to grand/expensive. Want to know some practical (and fun) gifts to give to the special teacher in your child's life? Here are some quick ideas for small gifts. 1. GIFT CARDS- Everyone loves to get a gift card. Teachers are no exception. A lot of people get hung up on the idea that gift cards need to be loaded with large amounts of money. Not so. $5 can buy a fun drink or ice cream treat, $10 can be a good jumpstart on paying for an appetizer. $15, $20, or $30 can pay for one meal or go a considerable way to paying the bill of a night out for the teacher you are trying to thank. 5. Etsy gift cards. This gift is one that gives the teacher some options on how to spend the money you set aside for him or her. The teacher can log into the popular Etsy site and choose to make several purchases from different vendors or spend it all in a lump sum on one item. 1. Amazon, Etsy, and Ebay are still great options in this category. 2. Visa has prepaid cards that work like debit cards. These can be used virtually anywhere. 3. Ask the teacher for ideas in the categories of favorite restaurants, venues, sports teams, etc. and then choose one to buy a gift card for. 4. A fancy fondue or steak place. 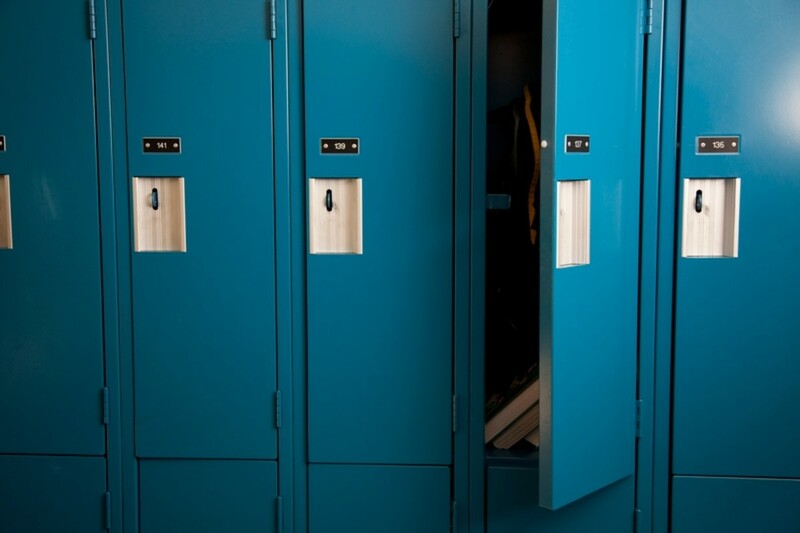 Most teachers are frugal and rarely go to these places. If you can't afford a gift card large enough to pay for an entire meal, that's ok. A reasonable amount will give him/her a head start in paying the big bill at the end of the fancy meal. 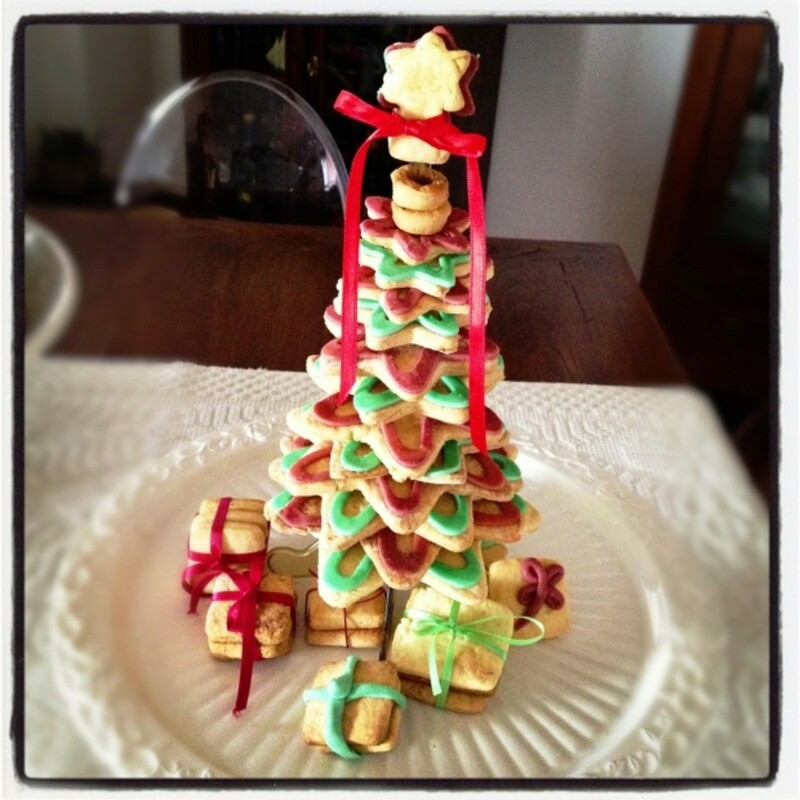 Some of my favorite and most memorable and treasured gifts were homemade. Notes that the child made, artwork, cookies, small crafts. Surprise the teacher with a homemade meal. While cooking for you family, make a little extra and send it to the teacher. There is something about cooking for someone that really conveys love and attention. Encouraging words from parents make a teacher feel special. Consider writing a short note or email and saying 2-3 sentences of positive things you appreciate about the teacher. Call the teacher at school and leave a nice message. Simple phrases like, "I hope you have a good day today. Matt's glad you are his teacher." or "We really liked the ideas you gave Eliza for her science project. She is excited to get started now that she has a direction to run in." or "Ted's being included in the school play has really made him eager to go to school each day." The impact of positive words should never be underestimated. -Drive through Starbucks and pick up the teacher's favorite drink and have your child deliver it. Don't know his/her favorite drink? Consider hot chocolate a safe drink for anyone. Almost everyone on the planet also like brownie type foods or cupcake related bakery items. -Make a poster or sign that says something like, "You Rock, Mrs. Melling!" and hang it on the teacher's door. The teacher will most definitely smile at this uplifting and fun surprise. 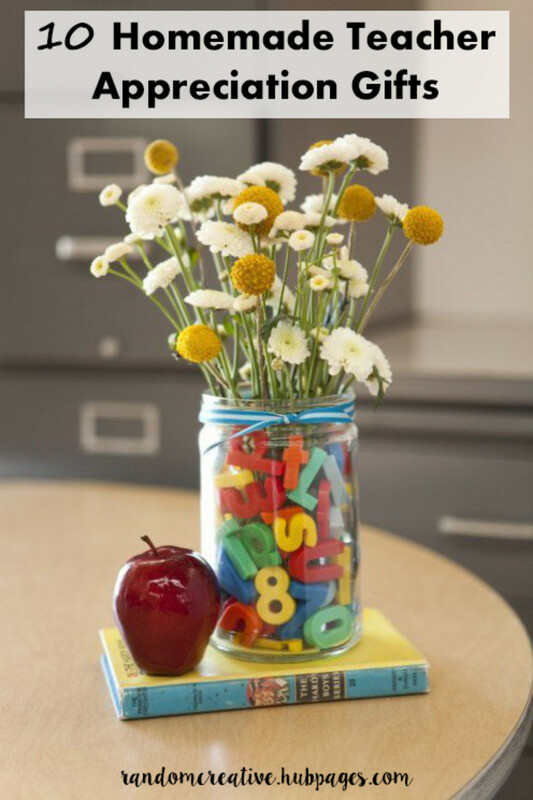 -Buy a bouquet of flowers or a can of peanuts or some fun socks, wrap them up and send them to the teacher with your child. Everyone loves getting a gift. And even small, inexpensive gifts can make someone feel really special. 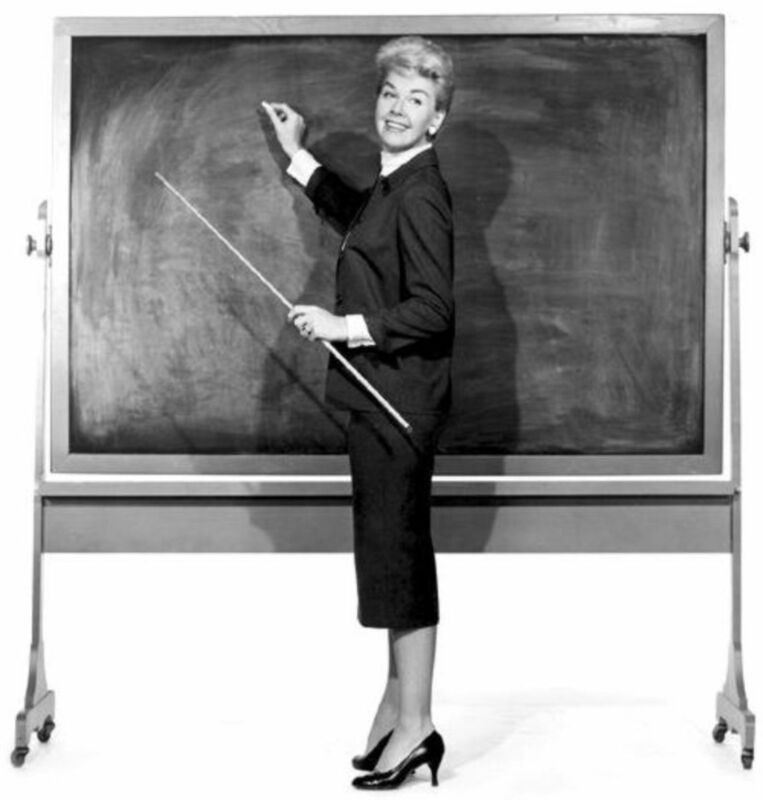 -Call or email the principal (carbon copy the teacher) a compliment about the teacher. -When interacting with the teacher, make sure to treat him/her with kindness and listen to what he/she is saying. Most teachers have hearts of gold. You may not agree with everything he/she does, but everyone deserves to be listened to with respect. Great ideas for men and women teachers. Everyone likes to have a clean car. Don't want to stop at just a car wash voucher? Try adding a "car detail" gift card too. Magazine subscriptions are a personal but not costly gift option. You could ask the teacher preferences or just go ahead and select one for him/her. I suggest writing down several options and asking the teacher to choose one. This way, you know he or she will enjoy the content and make use of the magazine. Do you know a teacher who has done an exceptional job with reaching out to help your child? Has your child had the same teacher for several years in a row and you wish to honor him/her in a special way? Is the teacher in your life someone who has had a profound impact on your child's future? These are just a few reasons to reach out and surprise the teacher in your life with a very special gift. I'm listing several ideas to get your mind spinning with possibilities. Most teachers travel during breaks from school. Some do recreational traveling and many travel to expand their learning experiences so that in-school lessons can be enhanced. A new camera or video device can be a great gift to someone who travels a lot or participates in several off-campus learning experiences. Did you know that most hotels now offer ways for you to prepay for someone's stay? Many of the major hotels offer gift options for someone you know that might need a small vacation. Most of these are available for purchase online or over the phone. Just hop on the website of your favorite hotel chain and check out your options for gifting! These can range from day passes to King's Island to weekly passes to Disney World to tours oversees. This definitely is a creative way of blessing a teacher.... give him or her an experience he or she will not soon forget. Pooling resources and money may be a good way to make the ideas in this category happen since expense is something to consider. Time shares are also something to explore: perhaps there is someone in your child's class who owns some time at a vacation spot that would be willing to donate this to the teacher. Most daily papers offer advertising space. If you know the teacher you choose to recognize or thank reads a certain paper, why not design an ad as a surprise thank you to them? Include a picture of the teacher and/or pictures of the teacher doing a special project or lesson with you. Imagine the surprise when the teacher opens the paper to find this unique (and public!) tribute to their efforts and strengths. Most museums in big cities are nationally linked. And all National Parks fall under the same membership fees. This means that you can buy a pass (or passes) as a gift and the teacher of your choice will be able to visit several venues under the same membership... free to them. If you are in a spot in life where you can give a large gift, I cannot think of many more deserving people in our community than teachers to get a big surprise present expressing heartfelt thanks. Here are a couple thoughts on this topic of "Going Big". 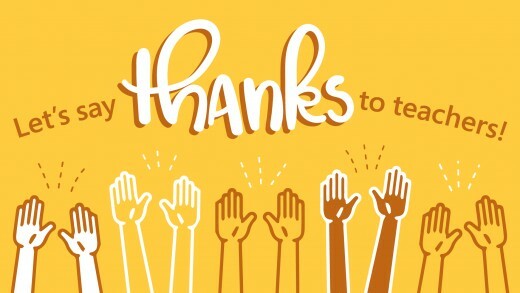 Know of a certain cause or organization that is a special passion of the teacher you want to thank? Why not make a contribution to one of these on their behalf. These donations can range from gifts in the $20 - $30 to gifts in the thousands of dollars. You choose the organization and you choose the amount. The teacher will appreciate your being in tune with his/her passions and grateful for your willingness to help out a great cause. Yes, it's true. I have listed giving a teacher a car as a part of my list of teacher gift ideas. Truth is, most teachers drive cars that are older style (read Camry or Accord) and drive them until they fall apart. Why? Because most teachers are practical, they drive practical cars and buy practical items. Do you have an extra Jeep in your garage? Or an extra motorcycle, an extra jet ski,or an extra kayak? Maybe it seems far out, but I'm suggesting you consider giving one of these as a special gift to a special teacher. Part of being thoughtful is choosing items that have meaning behind them. Often gifts that can be linked to shared interests between the teacher and student or gifts that correlate directly with specific talents, skills, or hobbies you've noticed about the teacher can mean the most. Please keep in mind the following reminders before you give your gift. 1. Is this a gift you would like to receive? If the quality or subject matter of the gift is not one that you would appreciate, please don't gift it to another. 2. Avoid cheesy or cheap looking items/trinkets. This is part of being thoughtful. 3. While it is nice to have student help in the selection of the gift(s), sometimes it is best to have the child pick out a gift and couple it with one you've chosen. The pair of gifts can convey: my son/daughter got to choose a gift for you, but we also want to bless you in a bigger way ourselves. 4. Avoid giving coffee mugs as gifts to teachers. Yes, most teachers drink coffee or tea or another yummy drink in a mug, but also, most teachers also have 20+ mugs that say "Special Teacher" written on them. Consider a more "out of the box" idea, or "out of the mug" idea. 5. Scented candles are an overdone item given to teachers. This, along with coffee mugs, seems to be the winner in the "Quick, we need a gift for the teacher" item bought in haste and without much thought and given to the teacher. Candles seem like a good idea until you take into consideration that many teachers get 20 or more of them each Christmas, each with a different scent. To top it off, teachers aren't allowed (for due reasons of fire hazards) to burn candles during the school day. If you are tempted to buy a candle for the teacher you love, try to redirect your gifting to a new pair of holiday socks, scented markers, fancy pens, or sticky notes with quick wit humor on them. These items cost about the same as a candle, but will get more use and show more creativity of thought on your part. 1. This site offers DIY projects you or your child can complete. Each project has a colorful picture of the project and includes ideas for witty sayings to put with the gift. Creative. Simple. Cheap. 2. A large compilation of Pinterest ideas ranging from homemade projects, to lists, to special sayings, to paintings you can create yourself. Many special and unique ideas posted here. 3. 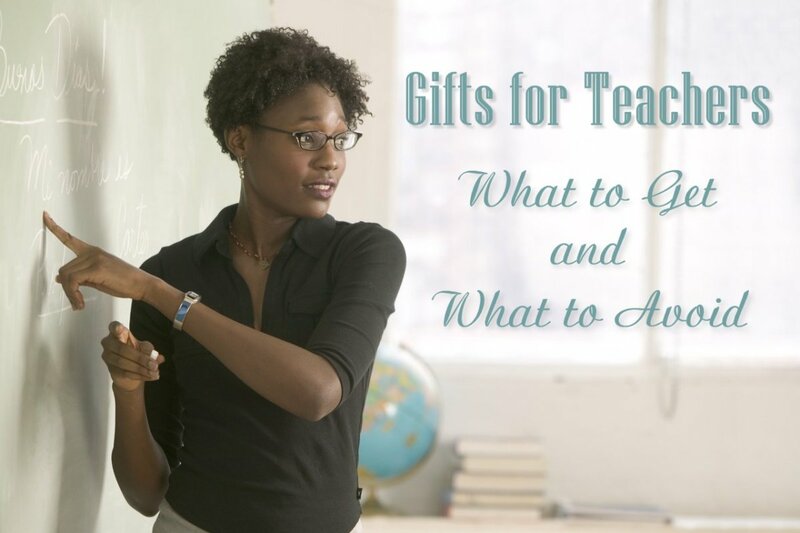 A quick PowerPoint slideshow of teacher gift ideas from Women's Day magazine. What is the Best Teacher Gift You've Ever Given?